Internationally recognized, Candace Evans has been praised as a stage director and choreographer with “a flawless sense of timing” (Opera News), whose work is “genuine gripping drama” (Opera Now). 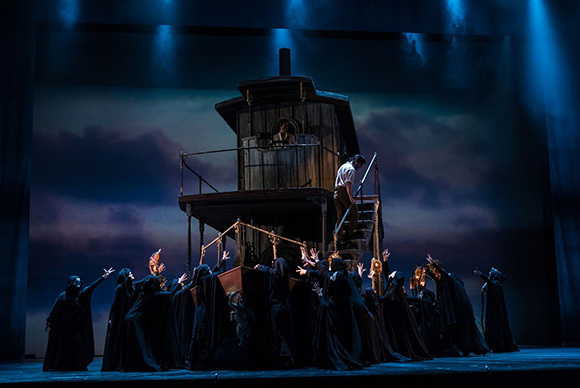 Honored by the National Music Critic’s Association of Argentina, her La Viuda Alegre at the legendary Teatro Colón in Buenos Aires was named one of the top three operas of the entire Argentinian season. 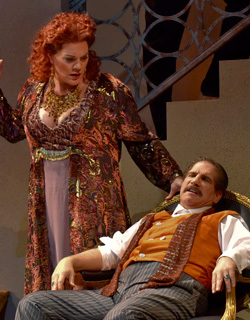 Similarly her productions of Carmen, Eugene Onegin and The Merry Widow were all named as top ten classical events for Madison Opera and Dallas Opera. Following these honors, she was asked to direct Don Pasquale for the opening season of the Winspear Opera House in Dallas. 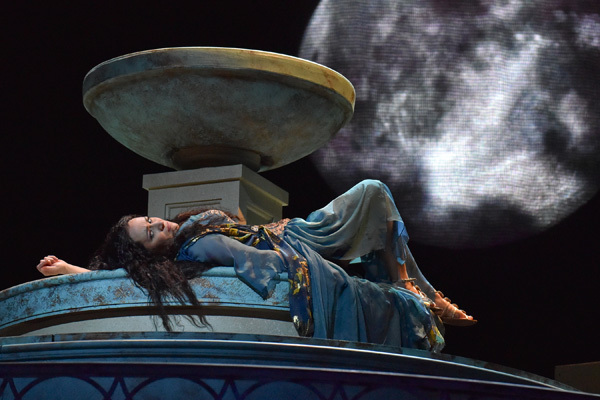 Ms. Evan’s production of Akhnaten for San Diego Opera and Indiana University was named by the Philip Glass organization as a definitive performance. Among Ms. Evan’s other past engagements are the opera companies of Santa Fe, Arizona, Palm Beach, San Diego, Fort Worth, North Carolina, San Jose, Birmingham, Knoxville, Livermore and Indianapolis, as well as the Florentine Opera and Opera Southwest. Frequently in Italy, her production of Le Nozze di Figaro toured with the Montefeltro Festival. Ms. Evans continued to study classical voice, ballet and theatre, culminating in a Master of Fine Arts degree. She taught for the theatre and music departments at Southern Methodist University, lectures nationally on mask training for singers and serves as an acting coach for numerous companies and professionals, who seek her for her understanding of role interpretation and physicalization of emotion. Her own performance career spanned the wide diversity of dancing with the Wisconsin Ballet Company, singing with the Dallas Symphony Orchestra, international tours in Shakespearean roles, national voice-over and television credits and creating staged concert events. This combination of talent and interest illustrate why her directorial style is one of such integration of musical intent, dramatic text and the physical life of performers. “With the addition of imagination, spectacle, color, costume, light and movement, the music and text should be given wings. 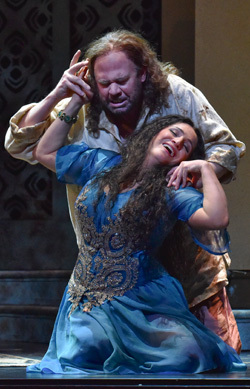 I have always had a strong vision of how the music should move in a physical way.” Her recent production of Florencia en el Amazonas, for both San Diego Opera and Indiana University (available on demand at the IU Opera website, https://music.indiana.edu/iumusiclive/) very clearly illustrate this attitude, as well as the variety of style that her work encompasses. Upcoming are productions include Eugene Onegin, Le Nozze di Figaro, Roméo et Juliette and a return to the Dallas Opera.